The HummingBoard-i2eX version has an onboard mSATA II connector. This layout provides you the easiest way to hook up an SSD. All you need is an mSATA Drive. Just plug the drive into the mSATA slot on the back of the Hummingboard and the job is done! 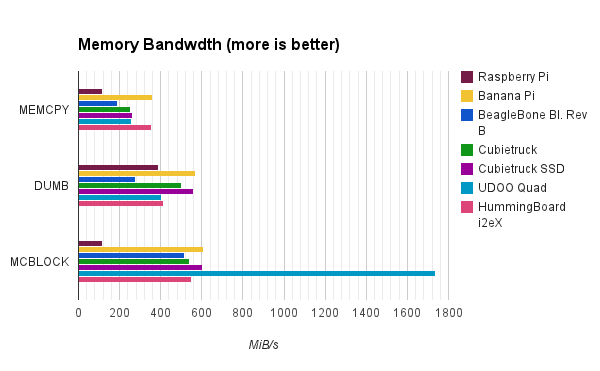 The next step is to move your rootfs to the SSD to unleash the extra SSD power. It’s impossible to boot from a SATA drive without an SD card, you will still need a small SD card for the bootloader. However, it is possible to adjust the bootscript (which is similar to a bootloader) on the SD card so that it points directly to your SATA drive. This way your system will boot the OS right from the SATA drive. Note: all this commands require root privileges. run sudo fdisk -l and identify your SATA drive. In this example /dev/sda represents the SATA disk. Use the “w” option the apply the changes. Do this only right after flashing the image on the SD-Card, so if anything goes wrong you do not lose any data. Enter '2' to choose the second partition. Enter 'p' to select primary as partition type. Partition number: enter to accept 2 as default partition number. First sector: enter to accept default. Last sector: enter to accept default. Press 'w' to write the new partition table. Reboot to force the kernel to recognise the new partition table. After the system has come back up you still have to resize the partition. In order to access your AWS instance in a VPC private subnet you need a bastion host ( NAT instance). The setup of a bastion is quite easy as described here. One important remark: don’t forget to add an outbound (egress) rule to the NAT security group (NATSG) to allow SSH traffic. As soon as you have your bastion in place you probably want to create or bootstrap new instances in your private subnet. Knife gives you the possibility to create EC2 instances in both private and public subnets, you only have to specify the right options to the knife command. server-connect-attribute private_ip_address: tell knife to access your newly created instance on its private ip through your bastion host. Remark: this only works if you add the private key (here staging-key) to your authentication agent! Specifying it as identity_file (-i option) does NOT work! SSH access to an instance in a private subnet. This config allows you to access any instance in your private subnet (10.0.0. *) via a simple command. Because the Banana Pi comes with a SATA connector it gives you the possibility to hook up an SSD or other hard drive. Besides it even provides a 5V power connector allowing you to power an SDD right from the board. Just be cautious with the power connector’s polarity, I had to switch the wires of my SATA power cable to get things right! Currently it’s impossible to boot from a SATA drive without a SD card. You will still need a small SD card for the bootloader. However, it is possible to adjust the bootscript (which is similar to a bootloader) on the SD card so that it points directly to your SATA drive. This way your system will boot the OS right from the SATA drive. run fdisk -l and identify your SATA drive. In this example /dev/sda represents the SSD disk. The external GPIOs are available under the /sys/class/gpio folder in Linux. 2014-12-28: I made an updated version available on my new blog! 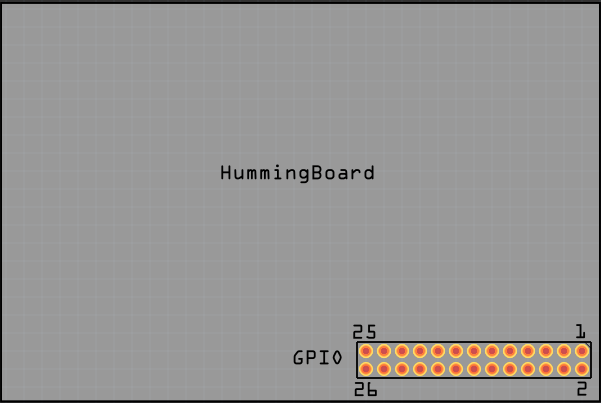 Today I benchmarked another competitor of the Raspberry Pi, the HummingBoard. This board is available in three different flavours: HummingBoard-i1, HummingBoard-i2 and HummingBoard-i2eX. 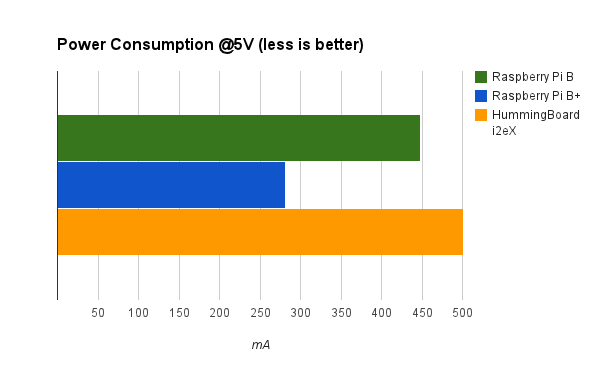 The last one (i2ex edition) is the most powerful and expensive one, it’s also the one I used for my tests. 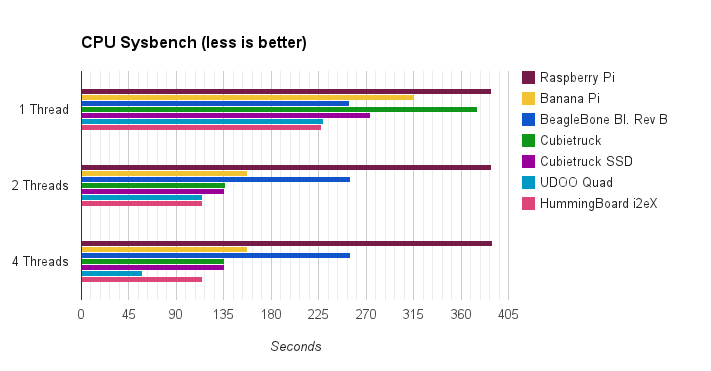 As you can see in the test results below the HummingBoard performs way better than the Raspberry Pi. 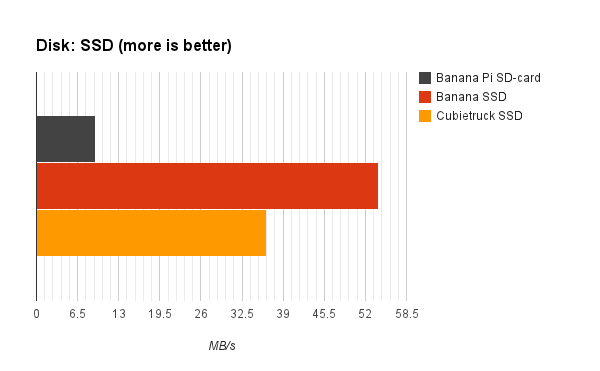 It also outperforms the Banana Pi quite nicely. Currently, the only downside of the HummingBoard is its price. 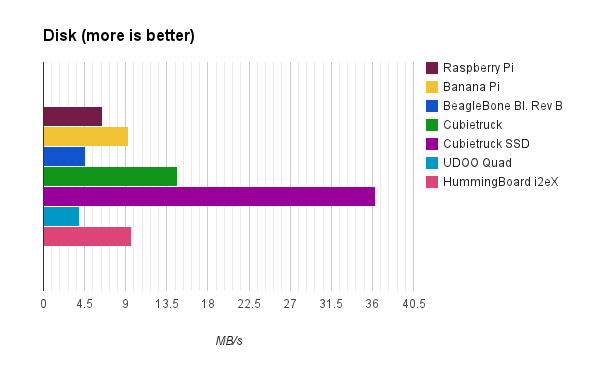 For a Raspberry Pi you pay only $35, for the Banana Pi you pay around $50. The price for a HummingBoard i2eX is $99.99. Note: for the tests I used an up-to-date version of Debian Jessie.